I remember an uncle who had a remove tattoo. I was curious as to why his right arm had a very funny shape that almost looked like a bird but it has some extra design besides it. After 5 years of curiosity, one day I had a chance to sit with him and had a nice chat. I asked him what the tattoo on his right arm was and he simply mentioned "bluebird". 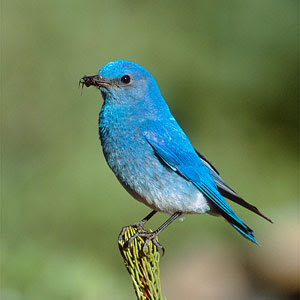 Bluebird? So I asked what were the extra design? They were letters. The letters made up one significant word that meant so much to him when the day he got the tattoo done. As we sat there and he revealed about the story behind his tattoo, I remembered that the only thing I felt that time was crying. Today, I stumbled on Charles Bukowski's touching poem called Bluebird and it reminded me of the above incident many years ago. Is there a bluebird in your heart?? This poem suddenly became special because it is as though written especially for my uncle. I am definitely sharing this with my honor class students.